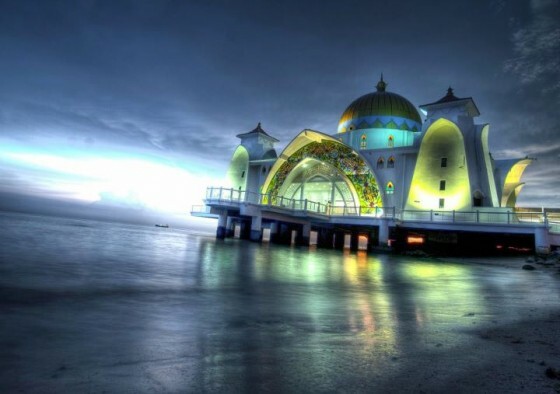 The Malacca Straits Mosque in Malaysia is arguably the world’s most beautiful and it is vulnerable to rising seas. Malaysia is one of the few countries that share Dubai’s obsession with manmade islands and grandeur. We have often cast a critical eye on the Emirate’s core developers for building artificial islands that have wrecked havoc on the Gulf’s marine environment, but the danger doesn’t end there. As increasing levels of greenhouse gases choke the planet and giant plumes of methane fast-track global warming, glaciers and ice caps melt, leaving all low-lying and coastal developments vulnerable to rising sea levels. 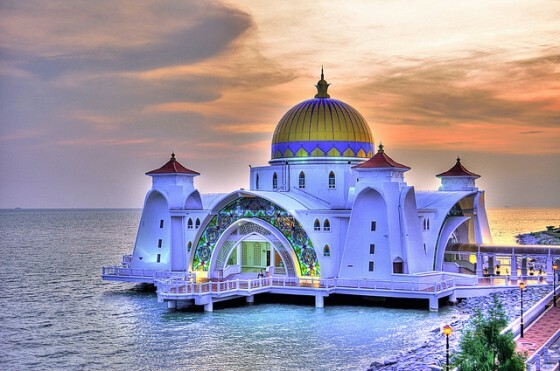 Take a look at the beautiful Malacca Straits Mosque in Malaysia. It was propped up on concrete pillars, but how will it fare in a few decades when the Strait of Malacca is one meter higher? One of the most important shipping lanes in the world, the Strait of Malacca is particularly vulnerable to climate change. The Malay Government has long known this. Even during colonial times, tidal stations were set up to monitor sea levels in the country. But this hasn’t stopped such improbable developments as the Malacaa Island – the first “Twin Island City Center” – on which southern shore the Malacca Straits Mosque was built. Undertaken by Pulau Kembar Sdn Bhd. – a 98.999%-owned subsidiary of Talam – the project involved the reclamation of two artificial islands off the coast of Malacca measuring 40ha and 50ha respectively. Although an impressive engineering feat, we know by now that such construction hinders natural currents and drums up silt, which in turn disturbs marine habitats. The Mosque was completed towards the end of 2006 and cost US$3.3 million. Although there’s nothing at all green about it, it would be a shame to see such a beautiful building swallowed up by water. But there’s a strong chance of this. The Welt Atlas map above shows the extent to which Malaysia is surrounded by water. In 1992, the non-government Malaysian Climate Change Group (MCCG) was established to draw attention to the country’s susceptibility to rising seas and other environmental issues. Climate change is no secret. We understand the dangers. But our denial jeopardizes all of our hard work – our beautiful works of architecture – and other important achievements. What will it take for us to change? :: We discovered the second beautiful image of the Malacca Mosque on Urban Peek’s Facebook page.